Keep 'em aiming up - even when showing them off. Don't lay your rockets on their sides - the fins can break off! 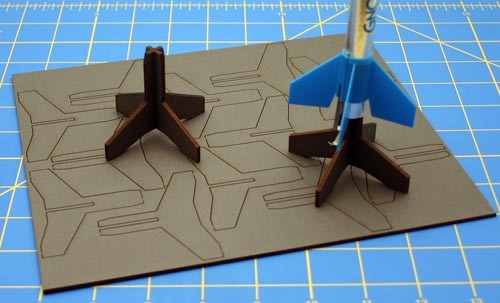 Instead, use these laser cut rocket stands, made from extra-strong cardstock. 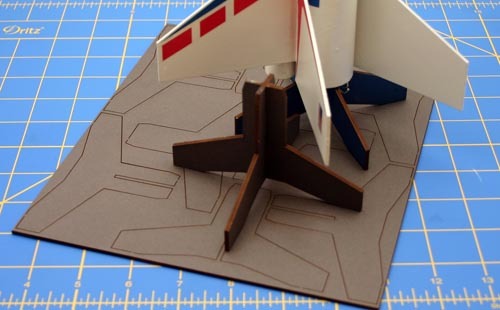 Just cut the small tabs to release them from the sheet, glue them together, and park your rockets aiming skyward. They even have room for your engine clip with no interference. 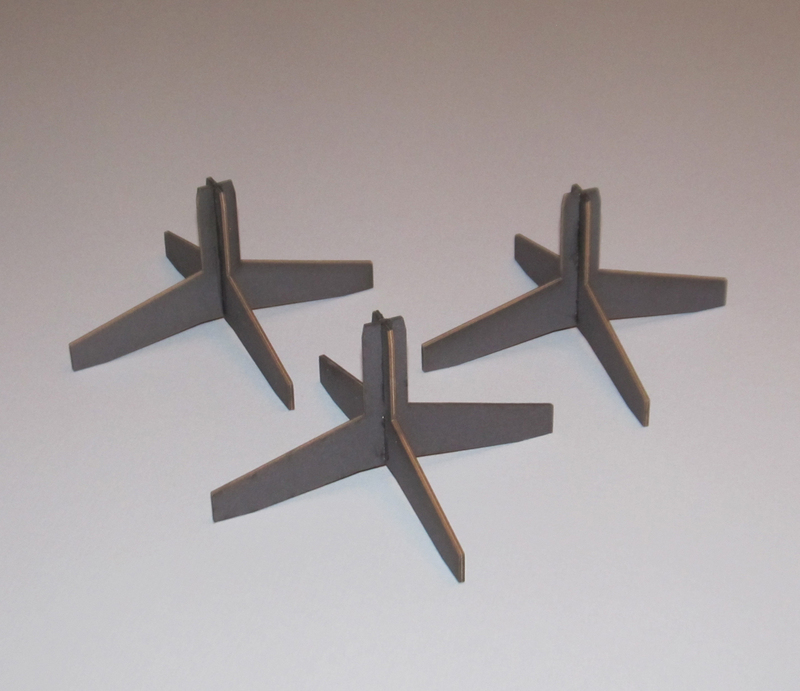 Available in sizes to fit 13mm, 18mm, 24mm, and 29mm engine mounts, choose from the options below. 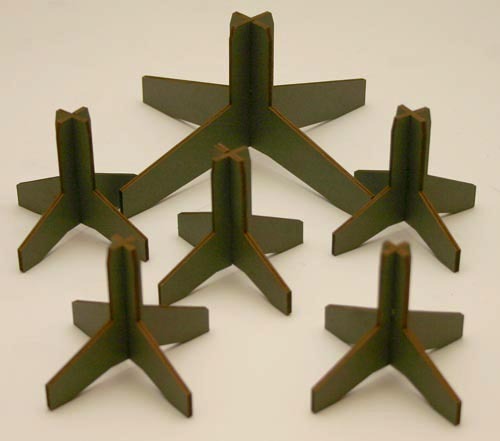 Select wide stands for your tall rockets. Comes with 6 laser-cut stands. 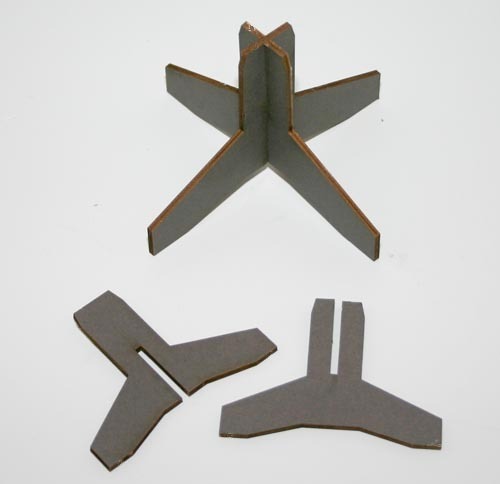 Comes with 3 laser-cut stands. 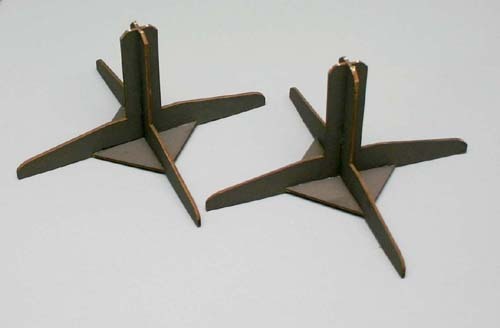 Comes with 4 laser-cut stands. 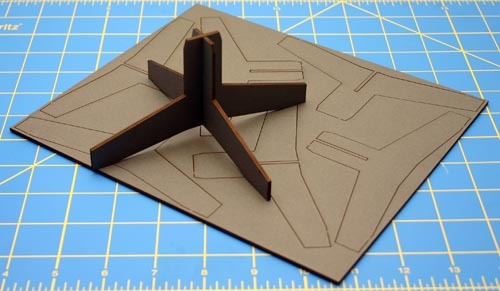 Comes with 2 reinforced laser-cut stands. Parts are sometimes built to order. Please allow 2-3 business days for production.